Berlin was once at the center of the film world. It reclaims its throne every February with the International Film Festival (Internationale Filmfestspiele Berlin) better known as Berlinale. Acclaimed stars of the silver screen walk the red carpet and thousands of gawkers admire the glitter. In this moment, the global network of cinema shrinks down to totally encompass and enthrall a city. In 2017, the 67th festival will show around 400 films from 130 countries and sell in excess of 325,000 tickets. In addition to worldwide premieres, there are awards, forums and the chance to market films for international distribution. This year's festival should continue to grow ever larger as one of the most important events in film every year, and one of the highlights of Berlin's annual festivals. The festival takes place from February 11th to 20th. A variety of events and screenings take place each day. The full program details the complete calendar of events. Films are generally screened three or four times during the festival so you will have several opportunities to catch your favorites. Where are the 2017 Berlinale events? A number of independent theatres throughout Berlin will showcase the world of film. For example, still glamorous Kino Internationales is an example of optimistic GDR modernism in former East Berlin. It has hosted premieres since the fall of the Berlin Wall in 1989. 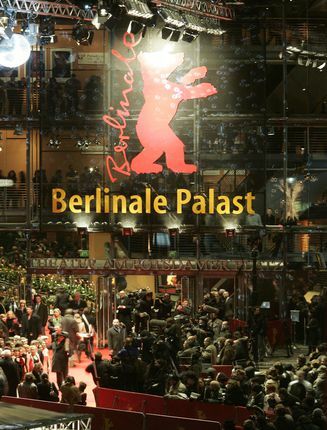 On the other end, Berlinale Palast in modern Potsdamer Platz hosts the competition premieres and functions as the headquarters of the festival. A map of the venues can be found on the Berlinale site. Where can you buy tickets for Berlinale 2017? Advance ticket sales start on February 8 at 10.00 am. Tickets may be purchased 3 days in advance (4 days for repeat screenings of competition films) to the day of the screening. On the day of tickets are only available at the box offices of the cinemas themselves and on www.berlinale.de. Most tickets will be €11, with admission to competition films at €14 . Ticket purchases may be limited to 2 tickets per event. Tickets may be purchased online or at several sales points throughout the city. A limited number of tickets can be purchased online. To buy, go to the programme pagey and select the film you would like to see. An "Online Ticket" icon should be present and from there you will be directed to the Eventim site (which requires an "Eventim" account) to purchase. Tickets can be delivered as mobile tickets, printed at home or picked up between 10:00 and 19:30 at the Online Ticket Pick-up Counter in the Potsdamer Platz Arkaden by showing a printed confirmation and ID. Note that a processing fee of €1.50 per ticket will be assessed. On the day of the screening movie-goers can only purchase tickets at the box offices of the cinemas and online. Tickets are available a half hour before the beginning of the first screening. Note that only cash is accepted. Purchases can be made by cash, Maestro or credit card. Last minute tickets (half hour before show-time) may be available at Berlinale Palast at a 50% discount. There are also discounts for groups and same-day tickets for pupils, students, persons in federal volunteer service, handicapped people, unemployed people, "Berlin pass" holders and welfare recipients at cinema box offices.